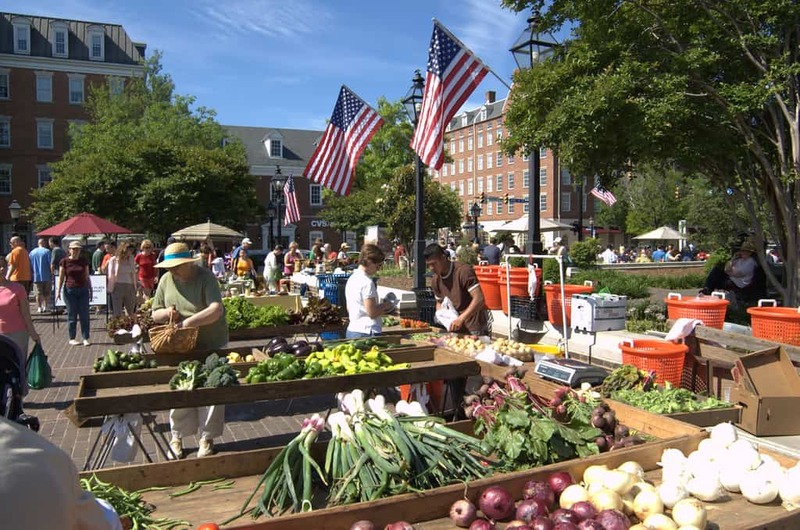 The Old Town Farmers Market in Alexandria, Virginia and is considered one of the longest-running Farmers Markets in the United States. Farmers and artists sell their goods year-round in the Market Square, located in front of City Hall at 301 King Street in Old Town Alexandria, Virginia. According to local legend, George Washington sent his farm’s produce to be sold here. The Market typically has fresh meat, dairy, fish, fruits, grains, vegetables, and a variety of goods.